Since the days of early church history, determining the precise date of Easter has been a matter for continued argument. Why does the date for Easter change every year? Have you ever wondered why Easter Sunday can fall anywhere between March 22 and April 25? And why do Eastern Orthodox churches celebrate Easter on a different day than Western churches? These are all good questions with answers that require a bit of explanation. In fact, there are as many misunderstandings about the calculation of Easter dates, as there are reasons for the confusion. What follows is an attempt to clear up at least some of the confusion. If you like this article, click here and refer it to your friends. 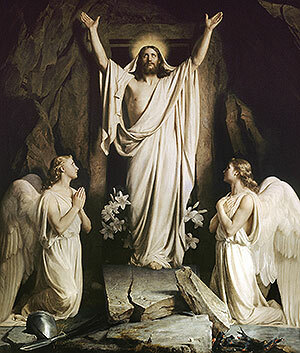 The date of the Easter observance has always been a matter of great debate especially as there are no sufficient records of the exact date of Jesus' resurrection. The confusion increased when Christianity was split between the Western Church (Roman Catholic and Protestant) and Eastern Church (Greek and Russian Orthodox). Naturally, the dates of observance of many a festival came under serious consideration and Easter was no exception. The Eastern Church wanted to observe Easter on a weekday as early Christians observed Passover every year on the 14th of Nisan, the month based on the lunar calendar. But, the Western Church wanted that Easter should always be a Sunday regardless of the date. 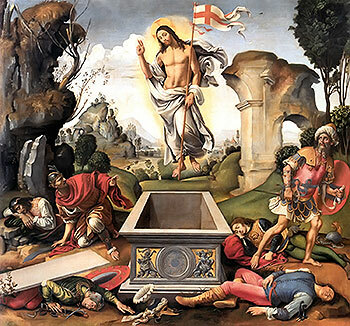 The Roman Emperor Constantine tried to put an end to this problem in 325 A.D. and called the Council of Nicaea to try and fix a definitive date for Easter. The council decided that Easter should fall on Sunday following the first full moon after the vernal equinox. With the assistance of the Alexandrians, experts in astronomical calculations, it set March 21 as the perfect date for equinox. Henceforth, Easter has always been celebrated on the first Sunday following the first full moon after the vernal equinox. Both Western Churches (Roman Catholic and Protestant) and Eastern Churches (Greek and Russian Orthodox) conform to this tradition even though there exists a gap of about five weeks between the date of the two Easter celebrations. The main reason for this disparity lies in the fact that the Western Church follows the old Julian calendar while the Orthodox Church abides by the Gregorian calendar. Orginally both churches fixed their activities according to the Julian calendar but things changed when the Eastern Orthodox Church abandoned the Julian Calendar in favor of the Gregorian calendar. As a result, Catholic (and eventually Protestant) churches needed to convert the originally Julian-based date of Easter into a Gregorian date. The difference between the Western and the Orthodox observance of Easter also depends on the way both churches calculate the date of the vernal equinox. The Western Church abides by the ecclesiastical full moon. It holds 21st March as the steady date for the vernal equinox and determines the full moon using ecclesiastical calculations. But the Eastern Church sets its celebration according to the astronomical full moon. It sets the date for Easter Sunday based on their astronomical calculations of the full moon and the equinox along the meridian of Jerusalem. Thus an exact date of Easter Sunday celebrations is impossible even though it always falls sometime between March 22 and April 25.